Backdrops and Drapes I have a large stock or Pipe and Drape. A 6 meter x 3 meter backdrop is perfect for a wedding top table, got a large top table just add a extra 3 meter section its that easy. The drapes I use are fully fireproof (certs can be provides) and pleated to hang perfect. At the moment we carry white and black drapes. (more can be bought in for larger jobs). 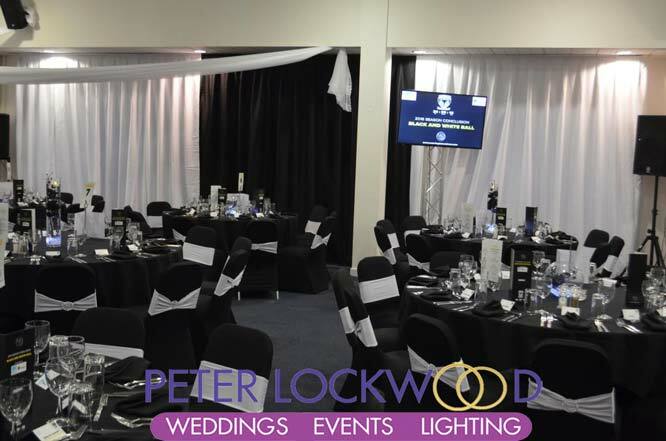 The pipe and drape frame can be used for so much more that hanging drapes get in touch with your ideas. 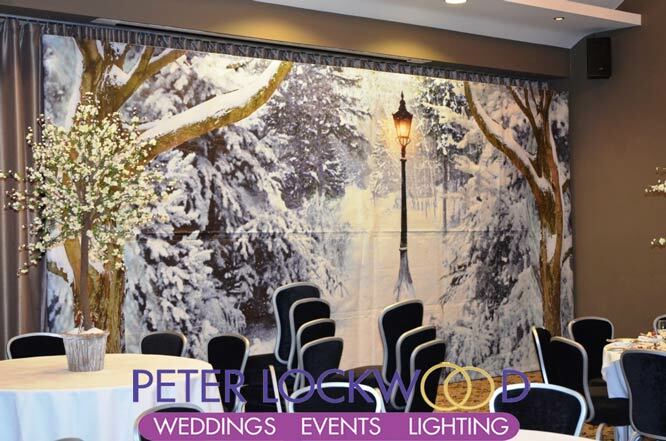 I only have a Winter Wonderland backdrop (in stock) this is 6 meters wide and 3 meters high. I will be getting a Beach and New York Skyline later this year. My fairy light backdrop is 3 meters high and as long as you want it to be. 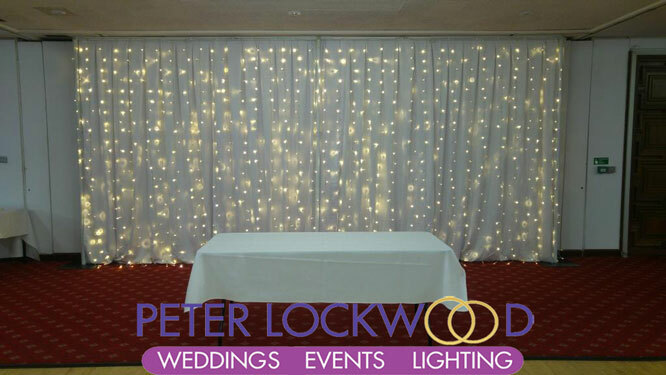 Yes a backdrop with nothing but warm white fairy lights. If you want to hide something that is on view my Semi Naked Backdrop is a good option. 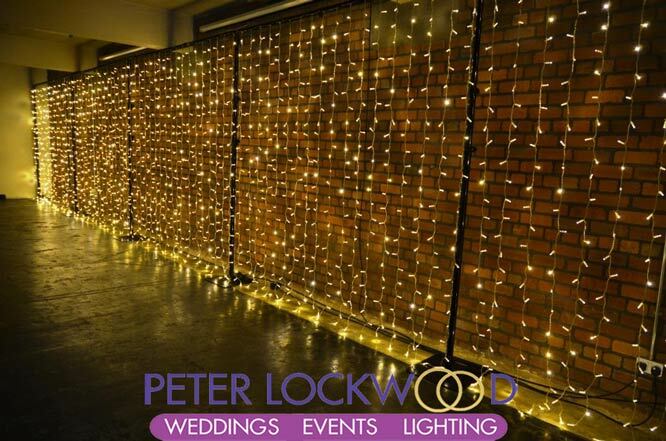 Lots of warm white fairy lights with a white or black pleated drape behind the fairy lights. Its all about the fairy lights backdrop.